The Munich Oktoberfest will be held for the 186th time from September 21 until October 6, 2019. The festival was first celebrated in the form of a horse race in 1810 to conclude the festivities marking the marriage of Ludwig of Bavaria with Princess Therese of Saxe-Hildburghausen. Today’s Theresienwiese – known to many Bavarians simply as “die Wiesn” – was actually named after this fair bride. 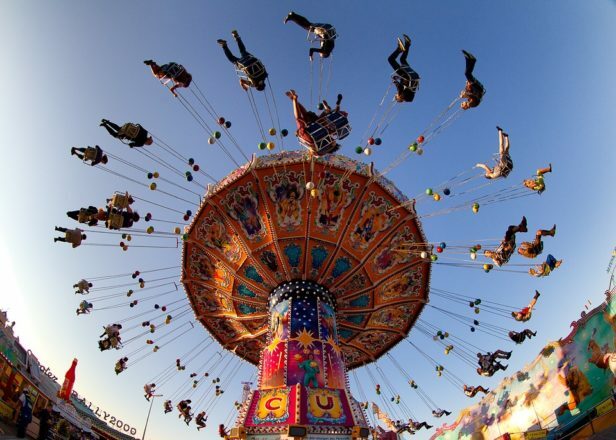 Are you planning a stress-free visit to the Munich Oktoberfest 2019? Then you are right here with us. With our exclusive Oktoberfest table reservations, long queues are a thing of the past make for an unforgettable visit to the famous Munich Volksfest. Here you can get the inside track to ensure you stay totally up to date with the latest Oktoberfest trends in our regularly updated Oktoberfest-Blog. This is where to come to keep your finger on the Wiesn pulse and ensure you don’t miss out on any Oktoberfest highlights. From the latest festival dress and biggest beerfest hits through to the places where celebs meet at the event – find out everything you need to know to enjoy the perfect Oktoberfest visit! In our online shop, you will find all the reservation options for tables in the fourteen large beer tents at the Oktoberfest. Want to know what kind of music will be played and what delicacies will be served in which tent? 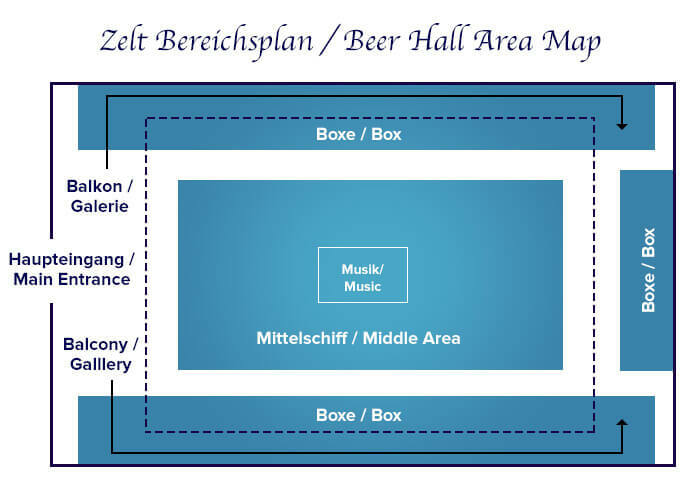 Check out our detailed descriptions of the various „Oktoberfest beer tents“ and plan the perfect Oktoberfest visit. Curious? Browse through our offers and enjoy a stress-free Oktoberfest visit! Would you like your Oktoberfest experience to be a non-stop party or would you rather enjoy a more reserved atmosphere away from the reveling masses? When reserving tables, you can choose between various tent areas directly in the online shop. The large festival tents offer tables in the center of the tent, in the side boxes or on the balcony. Would you like to be at the heart of the action and party alongside like-minded Oktoberfest visitors? If so, we recommend an Oktoberfest table reservation in the center area – in most beer tents, dancing and swaying on the benches is expressly welcomed in this section! More reserved groups will feel more at home in the boxes at the sides of the tents or with table reservations on the balcony – these are also great choices for business-related groups: Dancing is usually only allowed in the evenings in the box areas and is forbidden on the balcony for safety reasons. Find and reserve your desired table! Found your perfect tent? You can also reserve your seats in a specific area of the tent by selecting it in the online shop. The fourteen major tents offer three areas: the center area, side boxes and the balcony. Center area Located in the middle of the tent, it is usually the largest section. This is where most of the dancing happens. Boxes Usually located along the sides of the tent. Dancing is usually allowed in this area only in the evenings. Balcony Due to being higher up, dancing is not allowed on the balconies. At the heart of the action: Since dancing and swaying on the benches is encouraged in the center area, we recommend making reservations in this area if you are coming to let your party animal out. Quieter groups should make reservations in the side boxes or on the balcony. These are also a good choice for business customers. Dancing on the tables is prohibited in all tents and tent areas. You are planning a visit to the Oktoberfest with a small group? In general, a table offers space for ten people – with us, however, you can reserve a table for smaller groups! These reservations also allow you to use the exclusive reservation entrance, skip the long lines of the main entrance and go directly to your Oktoberfest table. Reserving a table ensures a convenient start to your Oktoberfest experience! Book your table reservations for two to eight guests in our online shop! We offer business customers the best offers for all business-related events at the Oktoberfest in Munich. Whether company outings, customer relationship measures or unique “Bavarian style” business meals, numerous companies have enjoyed our exclusive offer for business events at the Oktoberfest over the years. Check out a few of our references! For quieter business appointments, we recommend booking a table in the side boxes or on the balcony. Should the event require a more festive atmosphere, a booking in the center area cannot be beat – here, dancing and reveling is expressly welcomed! 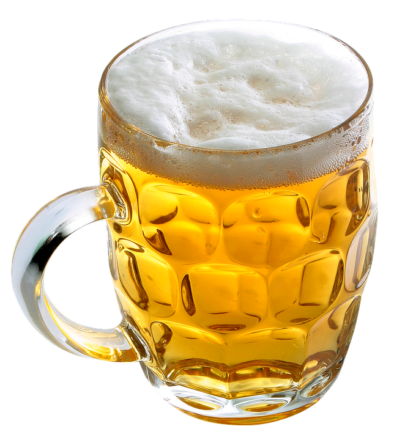 As VIPs, you and your customers will enter the beer tent via an exclusive entrance and sit together at a table reserved for your group. If you select a reservation option for twenty or more guests, the reserved tables will naturally be next to one another! Book your unforgettable business event directly in our online shop! Bei Gruppengrößen über 20 Personen verwenden Sie bitte das nachfolgende Kontaktformular, so können wir Ihnen ein indivduelles Angebot ganz nach Ihren Ansprüchen erstellen. 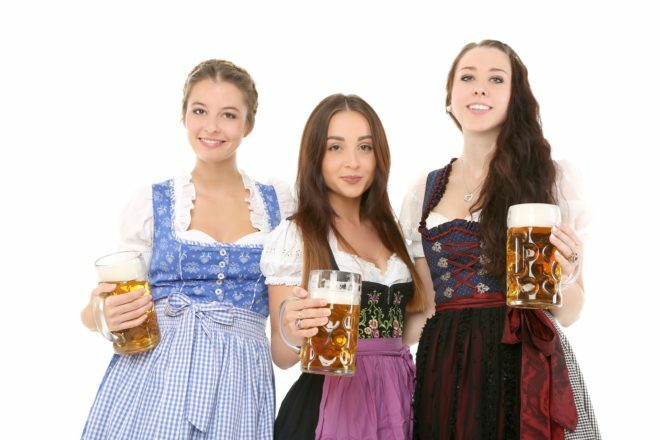 Gerne organisieren wir für Sie auch einen Shuttle Service, Dolmetscher, Hostessen, Hotelbuchungen, sowie Führungen durch München oder das Oktoberfest und vieles mehr. Large groups can also enjoy all that Oktoberfest has to offer with a table reservation in one of the 14 large beer tents. Avoid the long lines of people hoping to find an open spot and walk right in through an exclusive reservation entrance. And the best part? You’ll be able to enjoy the festivities with your group together at one table! Generally, a table at the Oktoberfest provides seating for ten – some hosts also offer tables for eight or twenty guests. The exact number of seats available can be found in the detailed offer descriptions. For reservations requiring seating for twenty or more guests, the reserved tables are naturally placed next to one another! For groups of more than 20 persons, please use the following contact form, so we can create an individual offer according to your requirements. 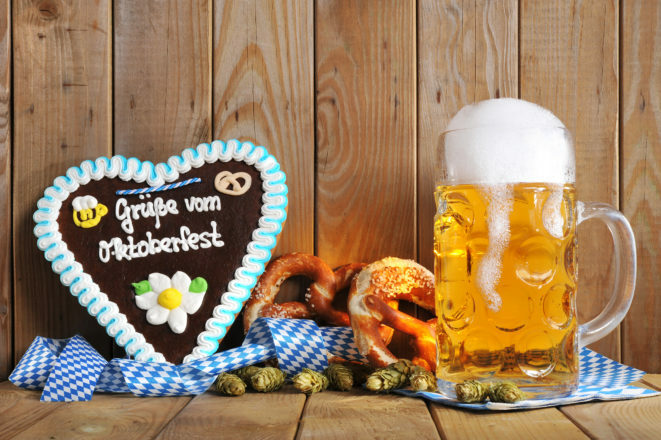 In addition to reserving a table in one of the fourteen large beer tents at Oktoberfest, all of the reservation options provided here include vouchers for food and drinks that you can use in the respective tent. You can find information on the respective vouchers or menus in our detailed offer descriptions in the online shop. Happy drinking and guten Appetit! Once you have confirmed your reservation by clicking the “Buy” button, you can start looking forward to a great Oktoberfest experience! You should receive our confirmation email with invoice within 24 hours after making your purchase. VAT is naturally provided on the invoice as well and can be charged to your company for business-related purchases. Also: All of the prices in our online shop already include taxes (gross prices). We accept payments via bank transfer, credit card or PayPal. If you use the convenient credit card or PayPal payment methods, you will need to complete your payment directly in our online shop. In other cases, all orders must be paid within seven business days after receiving the invoice. We generally send the complete reservation documents at the end of August and five to ten days before your visit to the Oktoberfest at the latest. We can also send your documents to a hotel address here in Munich if you would prefer. We work closely with our shipping partners GO Express, UPS and DHL Express and assume liability for any shipment losses and/or guarantee you a replacement reservation. Whether you want to witness the opening procession of the beer tent proprietors, the tapping of the first cask of beer, the cut-price family days or the legendary Gay Sunday in the Bräurosl tent, we have summarized all the top highlights for you in our Oktoberfest Diary 2019 ! Overflowing and expensive parking in and around Munich is not just likely during the popular weekends, it’s to be expected. In our „Travel Section“ you can find out how to avoid any travel nightmares during your trip and enjoy a stress-free Oktoberfest visit with MVV local public transport. With bus, rail and tram services all serving the event, everyone will find the perfect option for them. We hope you have a carefree and light-hearted trip to the beer fest! Not reserved your table for the Oktoberfest 2019 yet? You can browse the latest offers here and secure some great seats in one of the fourteen large beer tents!